Custom Pre Printed MX Backgrounds. Look like the Factory Riders with Factory Backing's custom backgrounds. Your numbers are printed on the material for a straight clean look. Backgrounds are 19mil thick and subsurface printed. Backgrounds are sold in a set, 2 sides and front number plate. 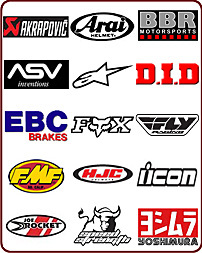 AMA LOGO IS OPTIONAL FOR $10 EXTRA. 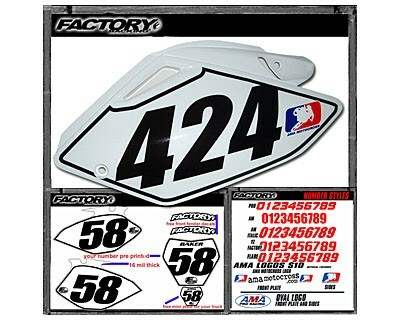 1 MINI PLATE (LIKE YOUR FRONT PLATE BUT SMALLER) AND 1 SET OF FACTORY BACKING FRONT FENDER ARCH DECALS. There are no returns because these are custom made.